We understand the health problems faced by women and for curing them, we manufacture various Ayurvedic Gynecology Medicines that can be taken without any risk. The beneficial formulation of herbal and Ayurvedic Gynecology Medicines manufactured by us offers relief from post delivery problems, menopause, skin disorders, monthly cycle problems, etc. 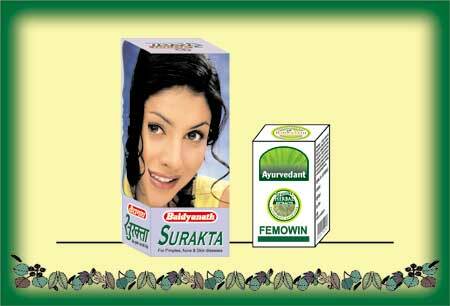 Why take our Ayurvedic Gynecology Medicines? © Copyright 2009 - 2010. Shree Baidyanath Ayurved Bhawan Pvt. Ltd.